Making use of Google Ad Sense is a great way in monetizing your website. This is one of Google’s ways in offering bloggers with an opportunity to make money. This is similar to other add models but this one is being controlled by Google. Some of the biggest websites in this day and age like WikiHow are making huge amounts of money by running Ad Sense. There are people making little from AdSense and they will claim that this is not working out for them but this is because they do not have enough traffic. 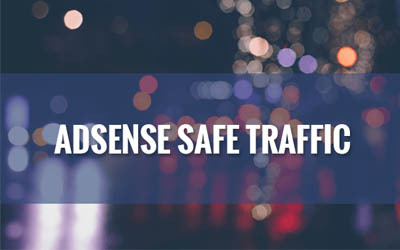 When you are buying traffic, you need to know whether the clicks you get are safe for AdSense. Without doubt, you might end up buying traffic that will jeopardise your AdSense. When you get AdSense safe traffic, this will lead to a decent pay cheque for your business. The question that you might have in mind will be how to buy traffic and make sure that it is AdSense friendly. AdSense is owned by Google and violation of their policies will jeopardise your AdSense account, as well as, ranking on your search engine results. AdSense is strict and violation of their rules can lead to banning your site for good and this is a penalty you will hardly recover from. AdSense is a great for producing sales and conversions; you need not risk with traffic that’s not of good quality. When buying traffic, there are a couple of things that you need to do to make sure that it’s safe. One thing you need to do is avoid traffic that is too cheap. A company offering traffic that is really cheap might be coming from software. The reality here is that the traffic is of really low quality. The thing here is that this kind of traffic will not buy your products and will not click on your ads. When you point the traffic to the ads, this is not traffic that will be safe for AdSense. Make sure that the provider you choose to work with is a trusted one. Make sure that your traffic is coming from a premium and legitimate source.